Each category will have a winner and one honorary runner-up. In essence,it is not photography competition but gardening competition which will be assessed on the basis of the photographs. If a photo shows good landscaping efforts and beautiful plants but photo itself is not very good then we will give weight to gardening effort. Photo has weight but gardening itself has more weight. Entries into Competition will start on 1st February, 2013 and competition will be closed on 30 March, 2013. Winners will be announced on 9 April, 2013 on the 2nd anniversary of Forum. All 5 judges will judge all the entries in seclusion(on a grade of 1-10) and the aggregate will be taken of all 5 judgements for choosing the best and runner up photograph for each category. -	The judges will select 2 finalists. -	One finalist in each category will win the title ‘Gardening Pakistan Best photograph of the Season in respective category and special surprise gift (Seed collections/T & M voucher/Bulbs/Plants) from the Team of Gardening Pakistan. 2. Entry into competition is free of charge. 3. Three Different threads will be created for each category. All interested members can participate in all three categories. Maximum three entries can be posted by one member in any one category. 4. Participating member must introduce himself/herself briefly as well as the plant in his post along with the picture. 1. Garden Pakistan photo competition of the season is open to all registered members except those involved in its organization. The organizers of the Competition are Gardening Pakistan Team and Judges. 2. By entering into the Competition you agree to abide by the rules. 3. Images can be uploaded to any source and shared on the topic, however for each entry/photograph one copy (raw image from your camera without any modification) of the prepared final image will be required to be sent to the photocontest@gardeningpakistan.com for verification of the image and avoid plagiarism. Elaboration:- Lets say you want to include Image A into the macro shot category. Then you will submit 2 images. 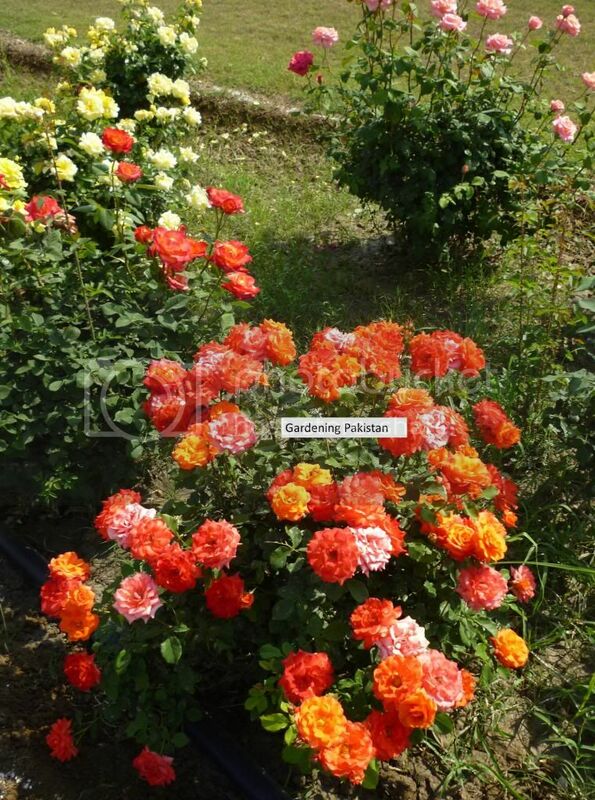 One will be your final prepared image that you will upload on the category thread and other will be wide image of the plant/border/landscape with a handwritten chit on the plant saying Gardening Pakistan sent to photocontest@gardeningpakistan.com. Second image will not be part of competition and will be used only for the verification of the image to avoid plagiarism. We appreciate that members do not mind this as we have fewer options to verify images. 4. You can use any type of camera or mobile phone to create your images. It is recommended that you use the highest image quality setting your camera can achieve. 5. No Photoshoping is allowed in anyway including light enhancement etc. Photoshoped images will be ruled out of the competition and warning will be issued to the member. 6. Only editing allowed for the image is cropping. 7. Images should be in JPEG format. 8. Decision of the judges will be final. 9. No responsibility can be taken by the organizers for images that are incorrectly submitted. 10. Photograph must have been taken during the dates of competition. We reserve the right to amend the Rules and if we do so, we will publish the amended version on the Forum. It is your responsibility to check regularly to make sure you are aware of any updated information. Any breach of these Rules by you will void your entry. Any suggestion for the improvement of the competition, format, rules etc will be appreciated. All members are requested to participate with full zeal. All members are requested to clarify/ask question if there is any ambiguity about the competition on this thread. Threads for the competition will be created on Late hours 31 January, 2013.
what a thrilling competition it will be ..it will be a better chance for us to show our photography skills .. i am waiting for 31 january....and thank you mr farhan for your brief introduction. Last edited by Hamad Ahmed Kisana on January 23rd, 2013, 8:48 pm, edited 1 time in total. You are most welcome and looking forward for your participation. 1) Is it possible to keep the photo competition first post by Farhan always on the top till the end of the suggested deadline to increase the participation, so that any person who visits the forum sees this post first. 2) With time this post will be buried in newer posts and people will forget about it. Or one can make a highlighted banner on the forum to increase participation. 3) And Farhan, if you really want heavy participation then one may create a page on facebook...and the news will spread with exponential speed. 4) Regarding your concern about plagiarism/ photos picked from the internet etc, we may request the contestors to submit date/ time stamped photograph along with the cropped ones. This condition would apply to semi-finalists not all photo submissions. Just a suggestion. The Post is Sticky so it will always on top. M Farooq wrote: 3) And Farhan, if you really want heavy participation then one may create a page on facebook...and the news will spread with exponential speed. M Farooq wrote: 4) Regarding your concern about plagiarism/ photos picked from the internet etc, we may request the contestors to submit date/ time stamped photograph along with the cropped ones. This condition would apply to semi-finalists not all photo submissions. Just a suggestion. I think a handwritten chit will do the purpose better. A very welcome event which should go a long way in promoting gardening & making it joyous. Congratulations & thank you Mr.Farhan & Mr.Mir Afzal Khan for this initiative & formulating comprehensive details. It seems to be a hightec activity, about which some of us may not be well versed,therefore needs to be kept as simple as possible.I for one will take some time in assimilating it, however for now request elaboration of Rule 3 ie, "hand written chit" & Rule 6 ie, "editing by cropping". I wonder if it would be possible to include vegetable gardens & fruit trees also, here or separately, may be next time, based on this maiden experience. Good luck Organisers & the Judges ! 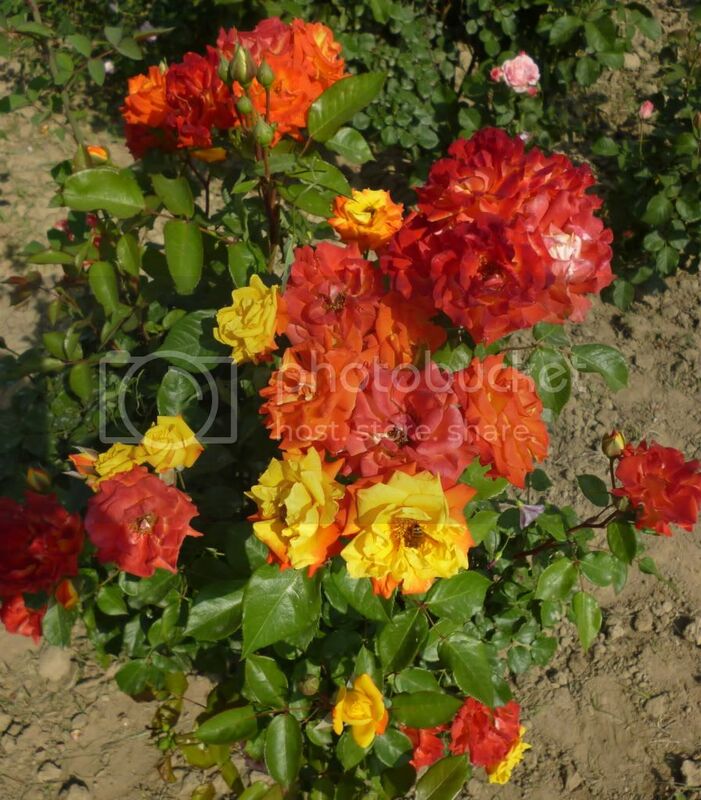 Regarding rule No.3 "Hand written chit" .....let say you select a rose plant as your image for category 2. What you need to do is first take a picture with best possible angle that you desire. Then take a picture from a little far and place a hand written chit close to plant. This second image is just for admin purposes. I am attaching a sample photo.This chit can be hand written/printed whatever suits you(but not computer text box, i have done that just to give an example). It can be placed anywhere in the photo but should be visible. Once you have taken the picture and you decide that some part/sides of the image need to be removed to give a more closer look at the plant. This is called cropping i am attaching sample picture. Many photo editing programs have this feature. 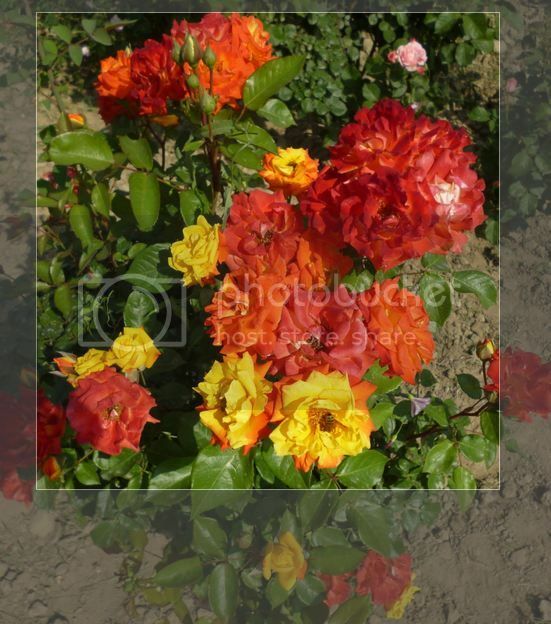 There is no requirement of cropping unless you think it will give better look to your plant. This picture show the function of cropping, inner box is the selected/cropped image that you want to make as your final image. Thank you Mr. Farhan for a prompt response & taking great pains to explain the points with examples & beautiful pictures (of wonderful roses), thus making it very simple. Three cheers for you! As regards Veggies & Fruit Trees Competetion, suggest may defer it till next time,in order not to dilute effort/attention on Flowers Competetion & hold it (the farmer) after benefitting from this first experience. May Allah bless you! Members please do not hesitate to be part of the competition. There is no garden/plant which is insignificant. Share your efforts, your blooms with fellow members. The beauty of gardening is that every Gardener is a winner. Show off not only your plants but also photography skills. Remember beside handsome material reward, the winner will claim the title of Gardening Pakistan Best photograph of the Season in respective category.